Get out of the house and off the beaten track! For over 20 years now, 4WD Action has been combining the tips and tricks of the trade with DVDs of their adventures across Australia. The highs, obvious for any off-road junkie, and the lows, like being bogged for two days, are covered in equal measure with trademark tongue-in-cheek tone. If it’s all about the journey, then you’ll head straight to the driver profiles, their varied vehicles and custom mods. If the destination is your distraction then the fact files and photos will tell you all you need to know. 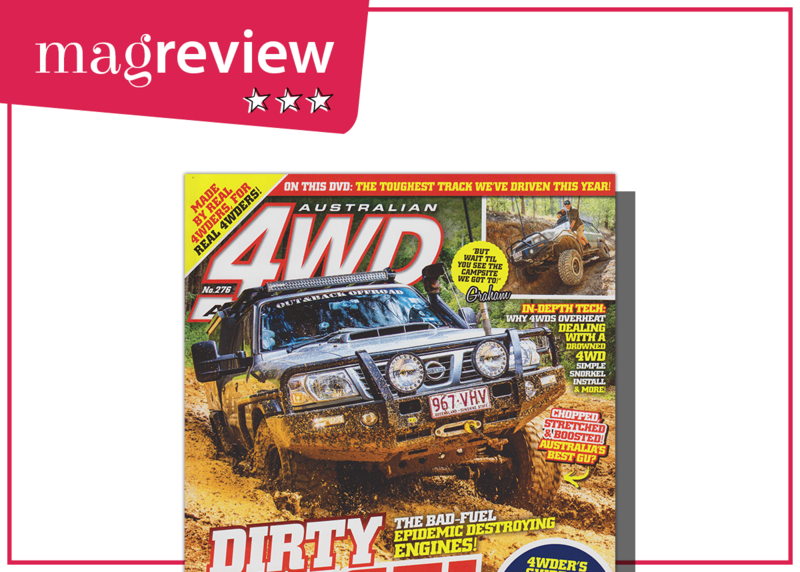 Each issue 4WD Action follows an outdoor odyssey as well as weekend getaways complete with maps, stats and adventure, camping and family ratings. You’ll learn how to season your canvas, perfect the art of bush toileting and make sure that your cool box never runs hot. If everything but the vehicle is just interference then the tough and technical can happily settle down with a spread on turbos, suspension or how to get your hands dirty and keep your diesel clean. And if it’s the toys that tempt you, there’s always something on campers, solar panels, comms, interiors, bumpers and batteries. The nature of this game is remote, so you need to know what you’re doing and there are always DIY hacks from those who’ve been there before. Clutch fail? Not if you do your prep-work right. 4WD Action is leader of the off-road pack. Magfactor of a well earnt camp-chair settler for the lengths they go to and the k’s they cover.